No Morning Prayer or Adoration until Thursday 25th April. 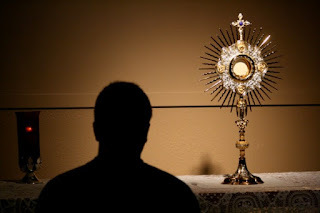 Morning Prayer & Adoration will be held at OLQP on Thursday from 7am onwards. Over the past 9 months we have watched these amazing ladies have grown in their love of Jesus. The RCIA team feel very blessed to have been on this journey with them. We would like to thank their Sponsors, Fr Daniele & Br Dan for their support and guidance. 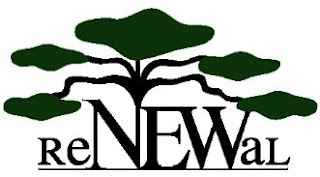 You can now register to receive your daily news and the weekly Bulletin by email. 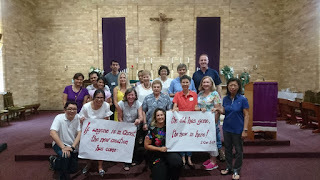 Fr Daniele and Br Dan facilitated a Lenten Retreat on the weekend of March 23-24 in Holy Cross College. The talks touched on prayer, fasting, alms-giving, eternal life, unawareness of sin and our call to love. The participants had a lovely experience deepening in what Lent means for our lives and how we can live it to the full. We give thanks to the Patrician Brothers and Holy Cross for letting us use their facilities and we look forward to the next retreat we can have as a parish. Meeting Folks . . .
. . . like long-time parishioner, sprightly Betty Wilson who at 97 (98 in April) has lived by herself since husband Ray passed away 47 years ago. She’s in the same house that she and Ray built – in the same neighbourhood where she and her four younger siblings grew up. She was born in Balmain but the family moved to Ryde when she was three. 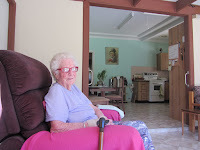 Betty in a corner of her sunroom where she receives Visitation Ministers. Betty remembers receiving her First Holy Communion from Fr Edward Gell (Parish Priest, 1920-1947). She studied at St Charles Borromeo where she finished Intermediate Class in 1936. When asked if she went to university, she exclaimed: What? Uni was only for the rich! On my 15th birthday, Mum woke me up to say I could start looking for a job. Actually there was a job lined up for her at a Darling St., Rozelle company where Mum worked as a seamstress. How does she manage being on her own? The work of renewing our Parish is underway... In his 2013 Apostolic Exhortation—Evangelii Gaudium, Pope Francis asserts that the parish ‘can assume quite different contours depending on the openness and missionary creativity of the pastor and the parish community’ (n.28). Since then his theme has been constant that for a parish wishing to remain true to the spirit of the Gospels in our times ‘business as usual is not the answer’. Along with a multiplicity of other factors, the Pope’s urging for change provides further motivation for renewal already underway within our Ryde-Gladesville Parish. Fr Greg Morgan fmvd was officially installed as the Parish Priest of St Charles Borromeo & Our Lady Queen of Peace Ryde-Gladesville Parish by Archbishop Anthony Fisher on Sunday, 10 June 2018 at 10am in St Charles Borromeo Church. A large crowd of parishioners and friends and family of Fr Greg attended as well as many brothers and sisters from his Verbum Dei Community. Following the Mass there was a brunch in the grounds and hall of St Charles Catholic Primary School. Archbishop Fisher stayed and talked to parishioners for quite some time. For anyone interested in starting their day with the Lord, Fr Greg, Fr Alfredo and Br Dan will be opening up the church in St Charles Borromeo for the Morning Prayer of the Church (Lauds) along with a period of adoration every Tuesday to Friday morning from 6am to 8am. Gaudete et Exsultate: We are called to be holy!!! Pope Francis has recently published a new Apostolic Exhortation called Gaudete et Exsultate (Rejoice and be glad), on the call to holiness in today's world. We encourage everyone to read this new document from our Holy Father and take up his call to be holy where you are: in your family, in your workplace, in school, with your friends because our world desperately needs holy Christians, people who can reveal the face of God to everyone else.